Dr. Isler is very passionate about educating his patients at every opportunity. He regularly shares his knowledge and expertise throughout appointments in order to help everyone choose the treatment plans that best fit their current needs and goals. In return, his patients greatly appreciate his gentle touch and the fact that they’re able to receive personalized care in a comfortable, relaxed environment. Where Did You Attend Dental School? 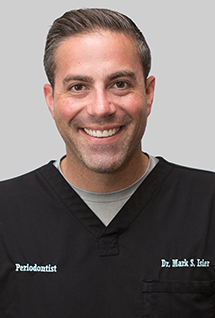 Dr. Isler participated in the six-year inteflex program at the University of Detroit Dental School, receiving both his Bachelor’s of Science and his Doctor of Dental Surgery. After practicing in Dearborn, MI, he chose to return to the University of Detroit in order to enter the Graduate Periodontal Residency program, where he achieved his Master’s of Science in Periodontics and became Board-Certified by the State of Michigan. What Kind of Advanced Training & Accolades Do You Have? Dr. Isler’s clinical work is widely celebrated and has even been published in the “Practical Procedures in Aesthetic Dentistry” peer-reviewed journal. He regularly pursued continuing education and has received certifications in conscious sedation and advanced anesthesia.